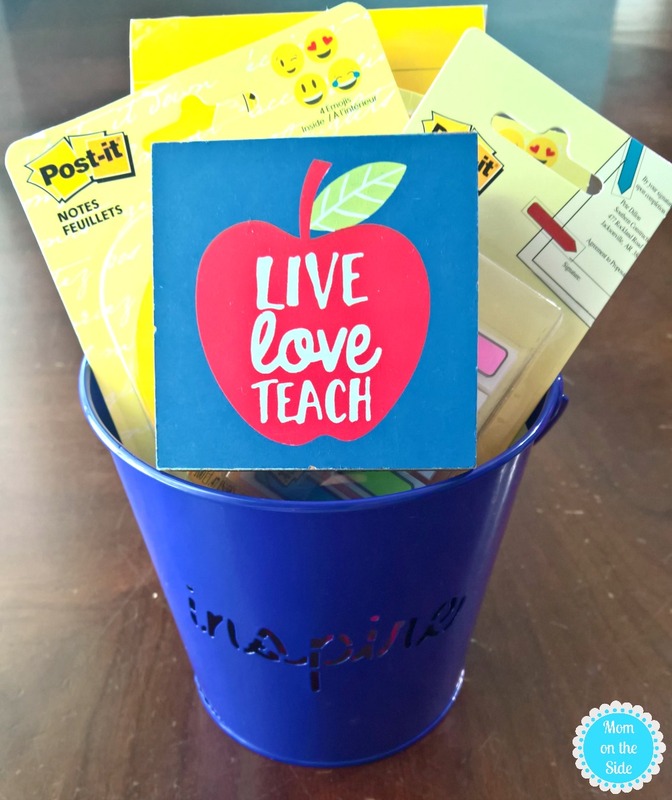 Are you looking for ideas for teacher gifts for back to school? With the twins starting preschool, I wanted to put together a Preschool Teacher Gift Basket to give on the first day of school. This would also make a great end of the year preschool teacher gift if you are finding this after the beginning of the school year. Thanks to the team at Post-It Brand/Fiskars for sending me a fun box of products for this teacher gift basket! Now, if it were appropriate for a four year to give the gift of wine it would be in this preschool teacher gift basket. Bless the heart of anyone else who can put up with my twins for that many hours in a day. Because there are several issues with a wine filled backpack, I opted to keep the bottle for myself. To crack open after I take the twins to their first day of school. To drown my tears of celebration or mourning, not sure what they will be yet. For a teacher, Post-It Brand products are the next best thing to wine! The Preschool Teacher Gift Basket we put together is all tucked inside an adorable bucket I found at Target. I love that “Inspire” is cut out on the bucket, and there were other words and colored buckets as well. 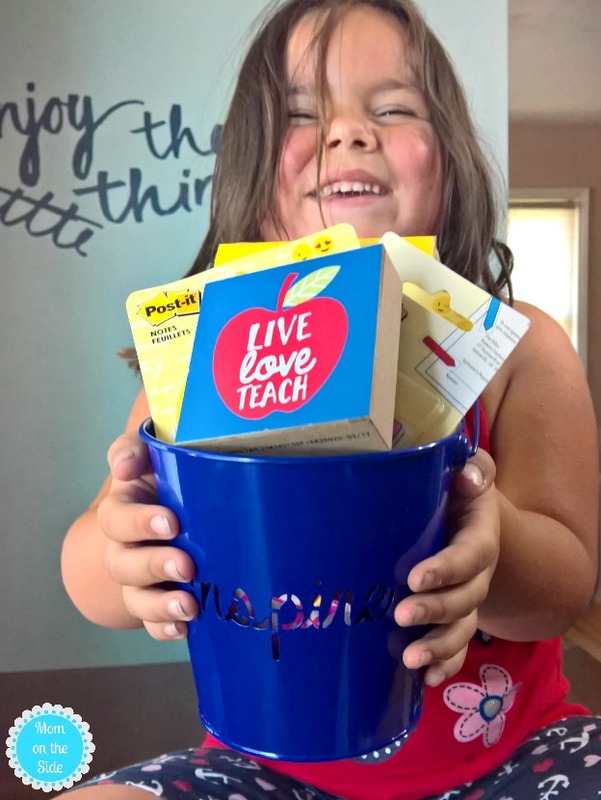 The “Live Love Teach” wood block was also found at the Target dollar section. 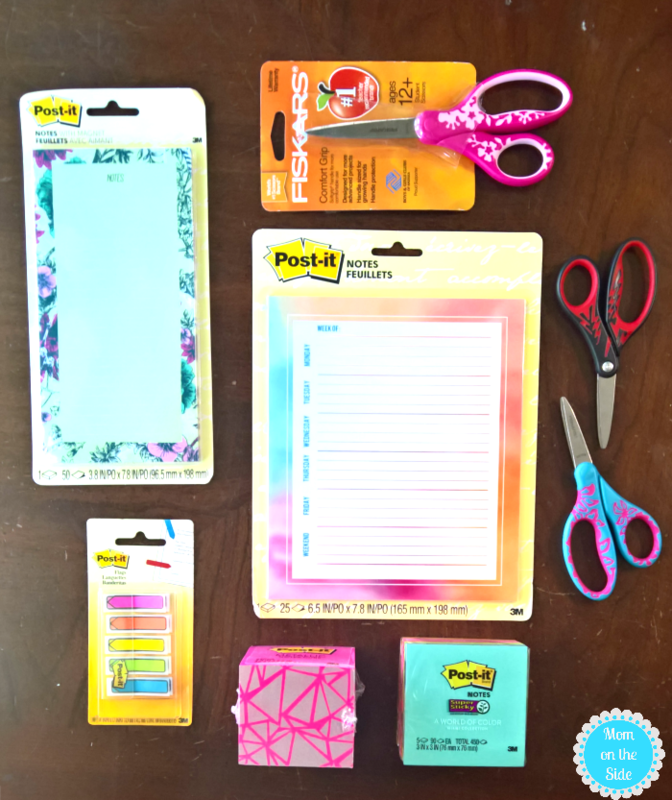 Tons of cute stuff to pair with Post-It Notes for a fun gift basket for teachers. 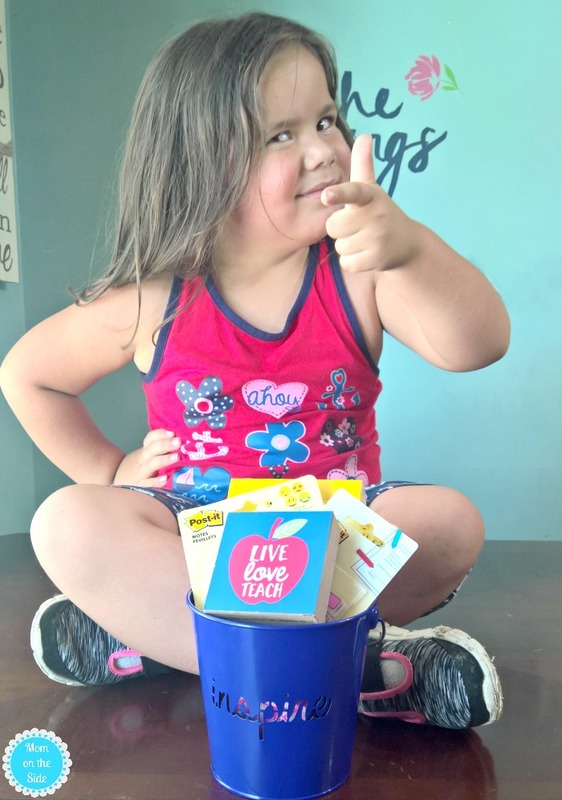 Post-It Brand has lots of great products for Back to School this year, and I tucked a few of them into the gift basket for preschool teachers. 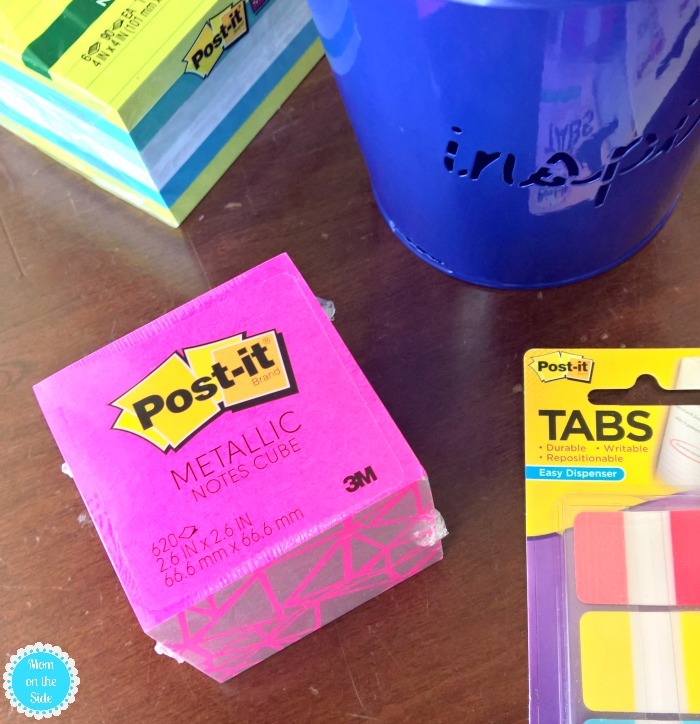 Metallic Post-It Note Cubes add style to a teacher’s desk and come in four designs including the Pink/Silver in our basket. Post-It Flags and Post-It Tabs always come in handy for teachers, and middle school and high school students as well. I can’t tell you how many packages of flags we go through each year with my 10th-grade daughter. 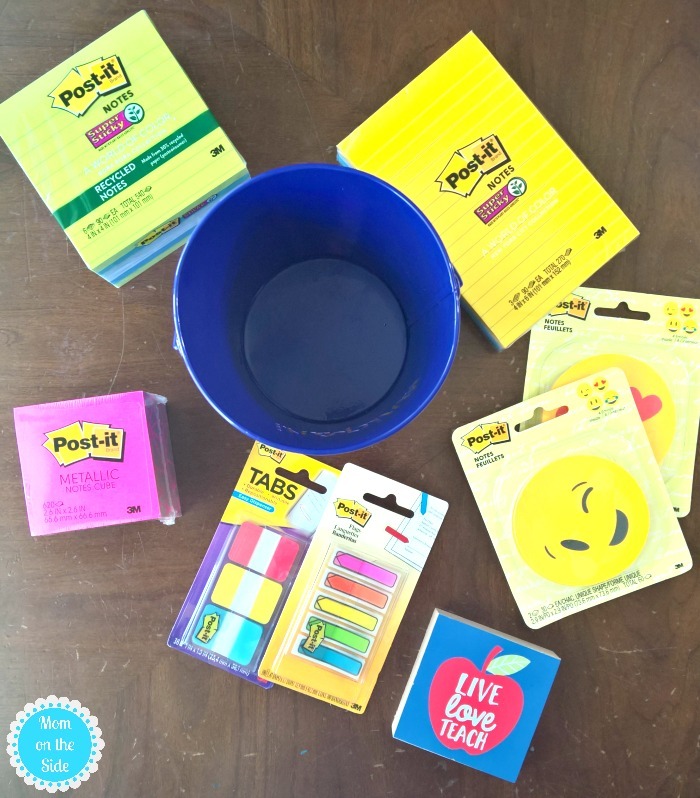 New Post-It Emoji Notes were a must for this Preschool Teacher Gift Basket! 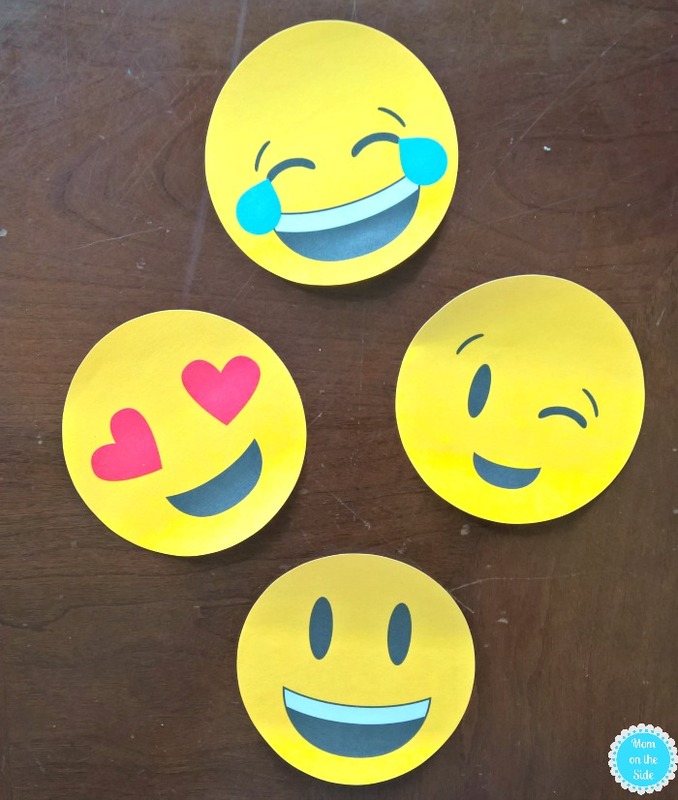 Do your kids love emojis as much as mine? The twins have taken a liking to the poop emoji and have to point out each one that they see while shopping. Since they like emojis so much, I figured they would enjoy seeing them on their classroom notes. All that paired with some good old classic Post-It Notes and you have an awesome gift basket for teachers. You can find all your Post-It Notes back to school needs, as well Fiskars scissors, which are the #1 teacher recommended brand, at retailers nationwide.